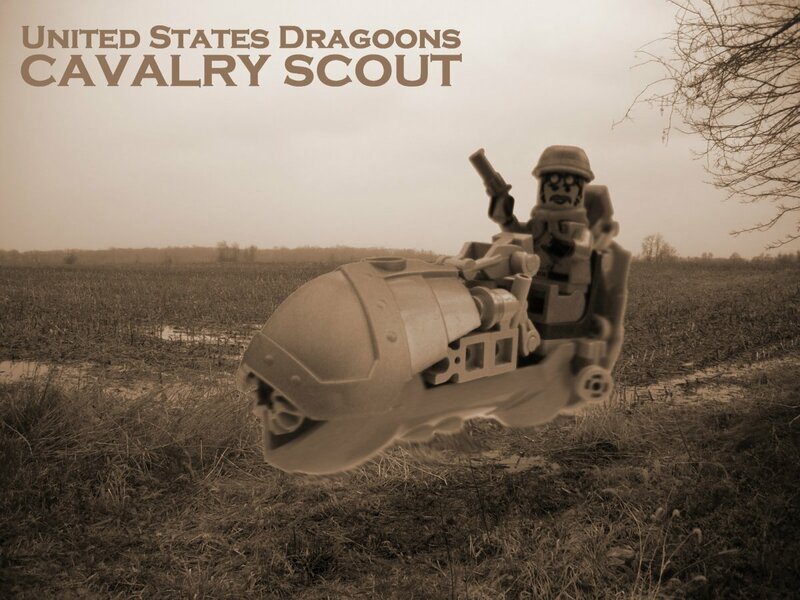 The famous Cavalry Scouts of the United States Army first came to the notice of the general public through newspaper accounts of their daring exploits during the raids into Mexico against the bandit forces of Pancho Villa in 1911. Although lightly armed and poorly protected, the Scouts would dart back and forth across the battlefield harrying enemy troops and targeting the exposed engine blocks at the rear of the slow and bulky Mexican mechanical walkers. 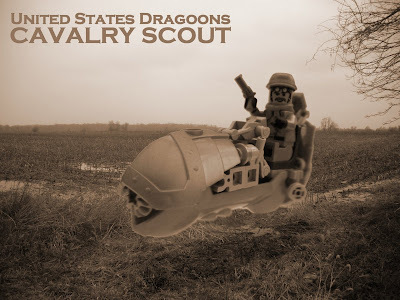 The Scouts' cavalier attitude to danger became something of a calling card with recruits expected to display almost foolhardy bravery in battle. This picture shows one of the earliest models of the Cavalry Scout's "Apache". It's maximum altitude was limited to only two feet above the ground, but it boasted a top speed of nearly 30knots and was highly maneuverable. The Apache was to go on to become a mainstay of the Cavalry Scouts for nearly three decades, although later incarnations bore little resemblance to their bulkier forebears. Interested readers are invited to view further images of the Apache here.